Enter	in	your	Document	Title,	File	Description	and	Date. Select the Delete button beside the file that you wish to remove from your site. 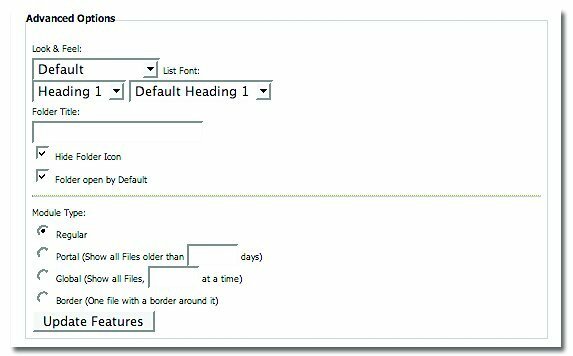 Select the Edit button beside the file that you wish to change on your site. Correct the information/options that you would like to change in the file. 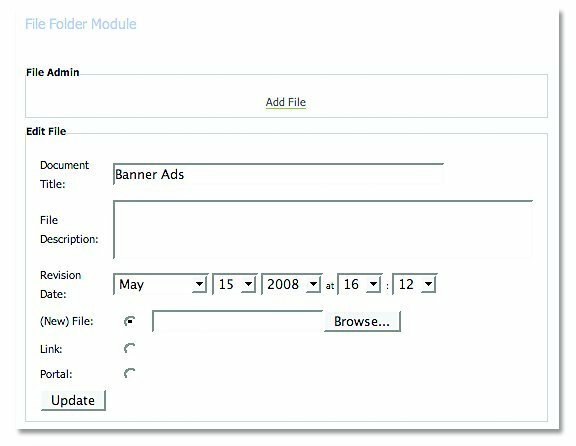 There are several options in the File Folder module for customizing the look and functionality of the module. Select the Advanced option in the File Folder module. Look and Feel: has the options of either Default (per your overall look and feel of your web site) OR other colour combinations that have been created. Headings: different headings levels with their associated colours and fonts, per your predefined selections. Folder Title: add in a title for your folder. 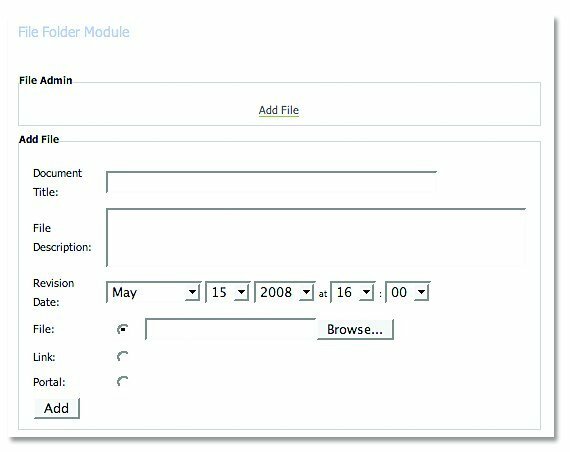 Select the Delete button to remove the entire module. Click Browse and locate the new Flash file where it is saved on your computer.